“For music lovers, Russia has always had a special reputation for rich, coal-toned basses - witness the bass parts in the Rachmaninov ‘Vespers’ and, of course, Chaliapin. 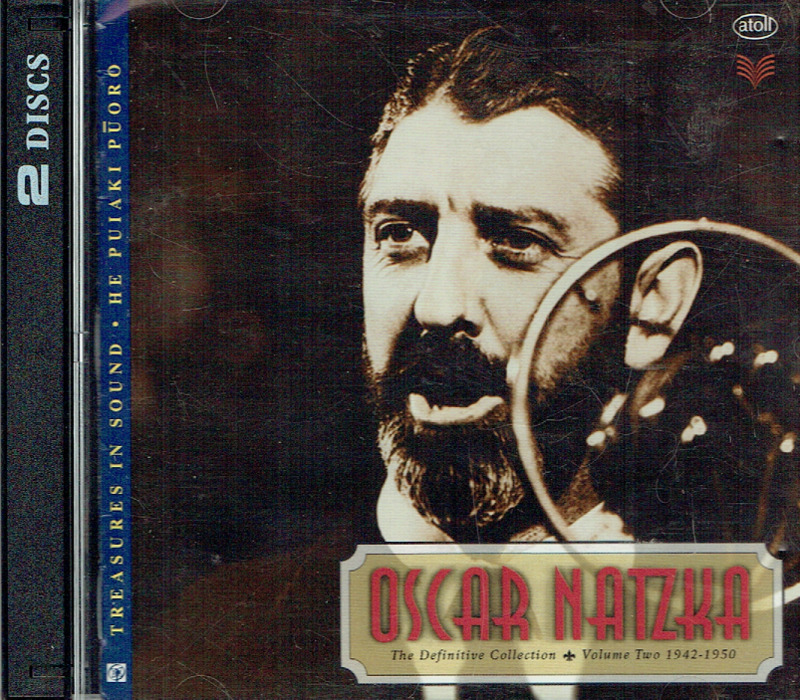 New Zealand's Oscar Natzke was remarkable for his enunciation, the firm quality of his voice and his physical bearing. Natzke made his operatic début at Covent Garden in 1938 and secured international renown and recording contracts especially through Parlophone. His voice is steady, dark, open to variations in volume and stentorian. During the Second World War he joined the Royal Canadian Navy and rose to the rank of Commander. He died very young at the age of 39 of a cerebral haemorrhage after collapsing a fortnight earlier during a performance of MEISTERSINGER in New York. These discs are in two volumes with each volume comprising two discs. Production and presentation values are very high indeed with every aspect proclaiming quality. The booklets are liberally decked out with photos and full discographical details. Notes are by Peter Downes. This is a joint production of the prestige between Atoll and the National Library of New Zealand. In Vol. 2 there are two extracts which will leave any British music enthusiast aching to hear the complete recordings. 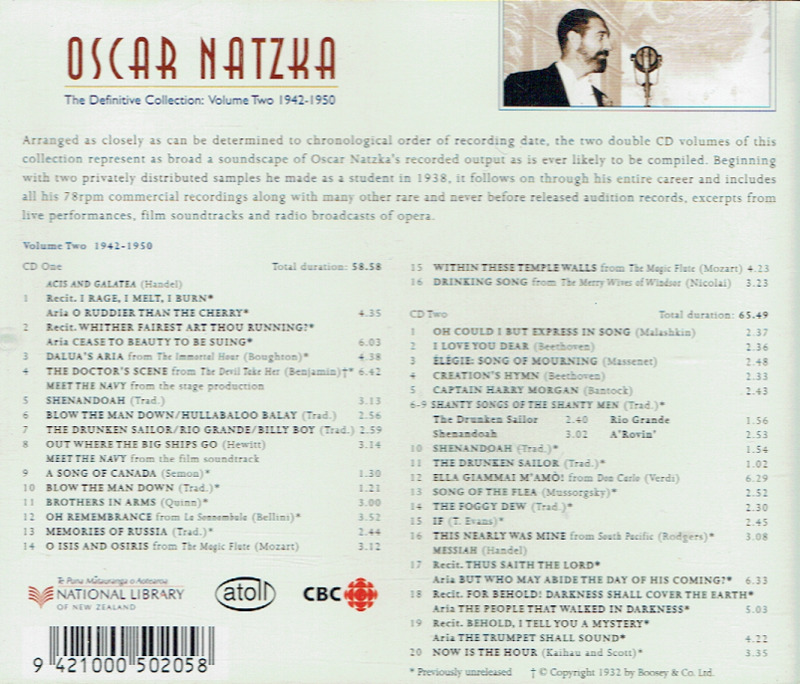 In 1942 Natzke was in Canada participating in CBC broadcasts of British opera. On 15 February 1942, Edwin Macarthur directed a Montréal performance of Rutland Boughton's IMMORTAL HOUR. On 1 March 1942 Natzka was in the studio with Arthur Benjamin for his opera THE DEVIL TAKE HER. The sound quality is superb. 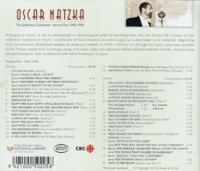 “OSCAR NATZKE: THE DEFINITIVE COLLECTION presents for the first time every known recording by this great artist. Of the 73 tracks, 27 have not been previously issued. The 4-CD set includes not only all of his commercial discs recorded for Parlophone and Columbia, but also rare live recordings, broadcasts, test pressings, auditions and film soundtracks from Canada, the USA, England, Australia and New Zealand. Natzke's career (the spelling was changed from Natska in 1947) encompassed Covent Garden and the New York City Opera as well as international tours and recording contracts. At an age when most basses are approaching their finest years, Natzke collapsed in New York during a performance of DIE MEISTERSINGER and died a week later. He was just 39 years old.